The G-FORCE Pro Series 5-pt Camlock Pull-up Lap belt Harnesses works great in the Exomotive Exocet. 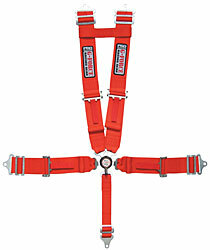 The G-FORCE Pro Series 5-pt Camlock Harnesses is a SFI 16.1 Rated, pull-up lap belt harness that works well in the Exomotive Exocet. Available in Black, Blue, or Red. 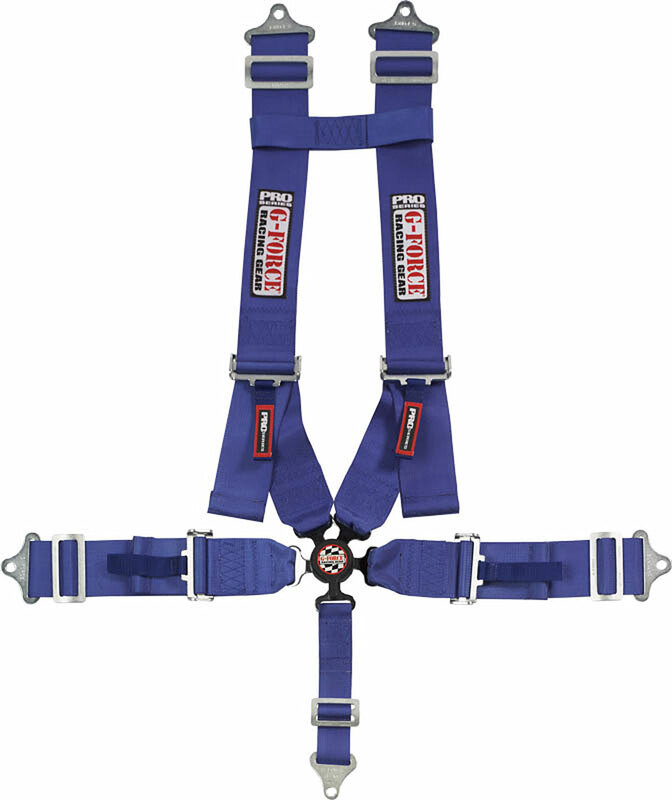 The belts of the G-Force Pro Series racing harness are constructed of a PolyTeck low stretch webbing that will outperform other harness systems in safety and comfort. All Pro Series racing harness sets have speed tabs for easy release and grip rolls for tensioning which make for easy adjustment while suited up – even with helmet restraint systems. G-FORCE Racing Gear is the only manufacturer to use 3-inch wide bolt end hardware pieces instead of the 2-inch standard pieces that all other manufacturers use. At the point of failure a 3-inch wide bolt end will withstand almost 2000-pounds more before failure than a 2-inch wide bolt end piece.